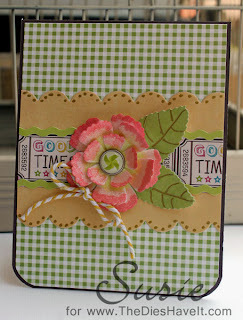 Thank you for coming by today for the PaperTrey Ink blog hop. It is one of my favorite events each month! I would love it if you joined my blog while you are here. I promise you will see a new creative project each day! 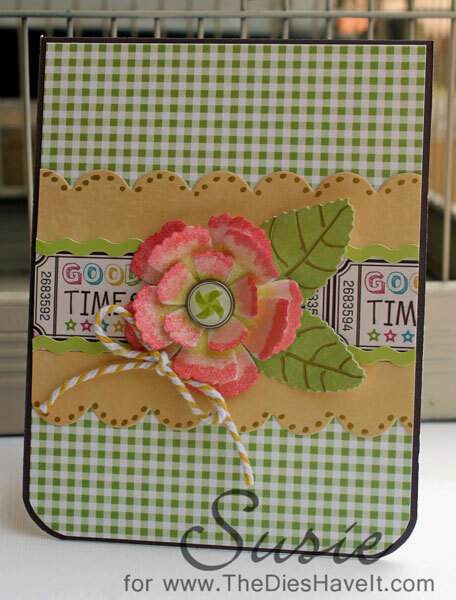 I used papers and elements from the new Carta Bella Cool Summer collection. I just can't get enough of these papers! 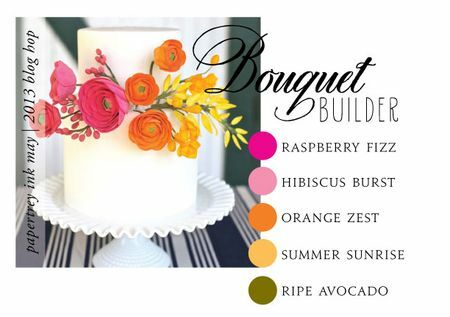 So much fun and so light and summery! To achieve the color scheme, I covered my flower in ultra fine glitter and colored it with three Copic markers. It is pretty easy and packs a punch! Thanks again for stopping by. Don't forget, you can play along too. Just create a card using this month's inspiration and link it up right here. I'll be back tomorrow with another fun project. Suzi, great flower! Love the layering. Pretty card! What a fun flower! Pretty coloring on the flower - love the sparkle! Fantastic elements and layers here! Nice! love the sparkly flower!